Once again spring time has rolled around and you can see your lawn and garden start to blossom and bloom with all of the great plants and flowers that you have around outside of your home. At this time of year you generally take a walk through your garden and around your lawn and see what areas may need particular attention or clean up to help make them look their best for the coming spring. When you do this, you do not want to forget to take a look at the trees you have on your property as well. Spring time is the perfect time to check over your trees and see which trees might need some pruning so they can thrive in the coming months. Spring is the perfect time for you to take a closer look at your trees to see how they have fared over the winter. Take a walk around your property and look over the various trees that you may have. Check to see if trees that are normally blooming or getting ready to bloom at this time of year are active or not. You may have some that have suffered some damage over the winter and need some limbs trimmed or cut to make them look right and healthy again. You may also have some trees that need some re-shaping so they grow and bloom properly this year or there may even be a tree that did not survive the winter and may need to be taken down. These are all things you should take a look for in your yard. 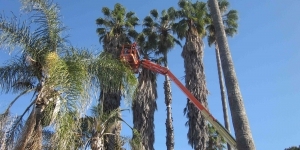 If you want to make sure that the pruning and other care for your trees is done safely and correctly, your best option may be to seek the assistance of a tree trimming service. A quality tree trimming service will have the right experience in taking care of all kinds of trees so they can be sure to prune everything correctly so that your trees continue to grow and thrive just as they should. 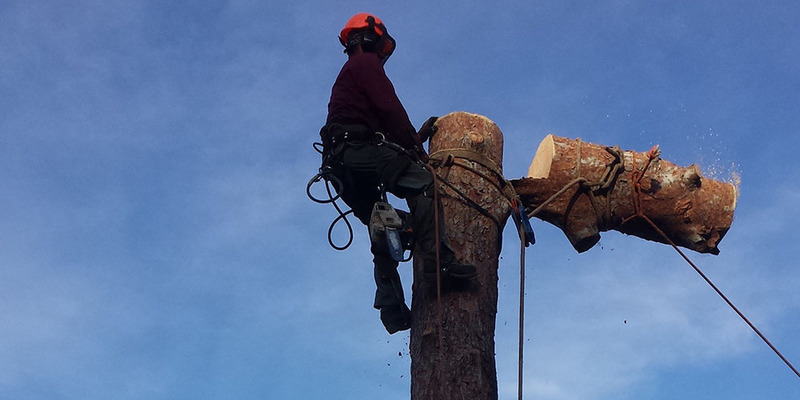 A good service can also make recommendations to you about any tree removal that may be needed as well. When spring is here and it is time for your trees to get pruned your best decision is to hire an experienced tree trimming service to work with you to get the job done right. They will do everything needed from examination to clean up to make sure that your trees keep looking their best for the spring and throughout the year.